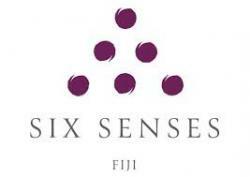 Located on the idyllic Malolo Island, Six Senses Fiji introduces a refreshing new approach to island getaways. Fronting a protected bay with sandy beach and all-tide swimming in the turquoise lagoon, 24 one- and two- bedroom pool villas feature private sun decks, entertainment systems, organic beds and fully stocked mini-bars. The villas reflect a contemporary take on Fijian tradition with thatched roofs, carved features and ever-smiling Fijian hosts offering heartfelt service.